Embracing the memory of when East Harlem was Italian! ← Discover your deep genetic heritage with National Geographic’s Genographic Project! Welcome to Virtual Italian Harlem! I'm a 2nd generation Italian American. My heritage is 100% Italian, from the regions of Campania and Puglia. I enjoy sharing my knowledge of immigration history and genealogy! My paternal great grandfather came "straight off the boat," from Naples,Italy to East Harlem in 1901. My familial roots called East Harlem, "Home" for over 67 years! I have a Juris Doctor degree in Law from Widener University and a Bachelor of Science in Criminal Justice from John Jay College. As for my interests, my specialties are within the areas of Genealogical Research, New York City Urban Sociology, Photography/Digital Enhancement,Photo Restoration/Preservation,and of course,Italian Immigration History! I actively scour the web for any information or resource that I can find on my old neighborhood. Although my family left East Harlem 45 years ago, I will NEVER forget where I came from, and how it shaped me as a person. East Harlem rests within my inner conscience. Always ready to vividly recall a fond memory, or images of it's past. The old neighborhood comes alive through my mind's eye. The family photos that I cherish,seem to magically transition into a living scene! Though long gone, my ancestors spirit and memory are alive and well in the old neighborhood. 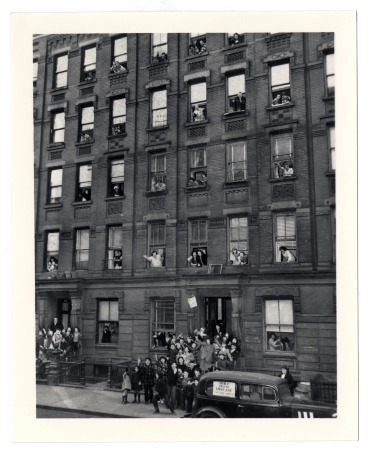 The tenement windows reflect their image, and those of all the former residents of Italian Harlem... Long live the memory and true essence of Italian East Harlem! My other wordpress blog,"Italian Harlem."